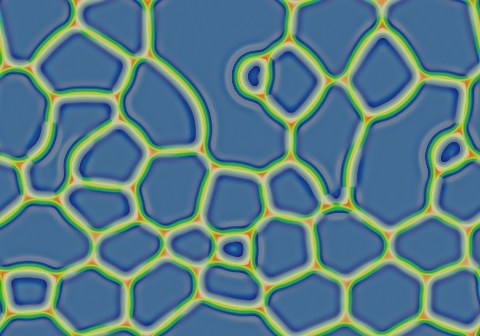 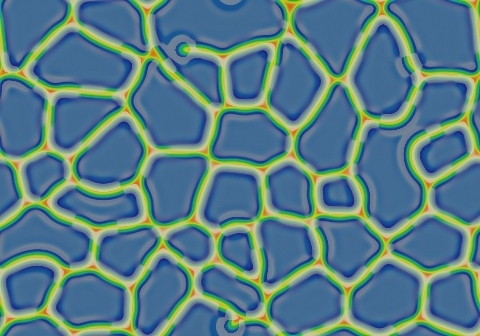 These images and movie demonstrate the behavior of the Gray-Scott reaction-diffusion system with σ=Du/Dv=2 and parameters F=0.0900, k=0.0570. 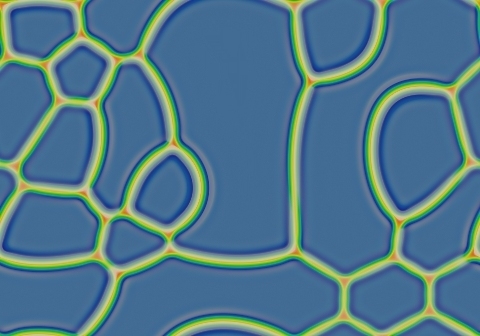 Blue spots on a red background quickly grow into a network of connected negative loops or "soap-bubbles"; loops then coalesce as smaller blue regions shrink and larger regions grow. 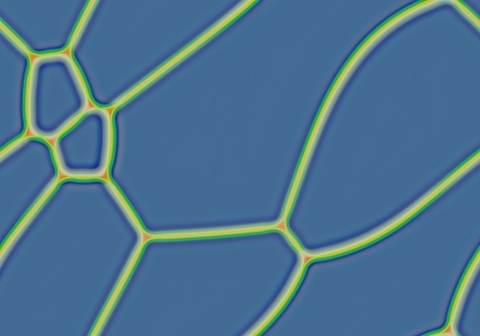 This system is still evolving with two closed loops after 1,000,000 tu.